For a beautiful yoga experience, balancing both the masculine and feminine energies within each of us, book Wendy and Clark for a 1 hour 15 minute yoga experience including an energy healing shavasana. Contact us and begin your wellness journey! To Wendy Irene, reiki is the energy of unconditional love. Let her help guide you on your path to self-healing. Contact her to begin your journey towards self-healing, self-love, and support in balancing your chakras! Click here to visit Belinda Davidson. ​This is an affiliate link. I receive 40% of the purchase price on sales made through this link. 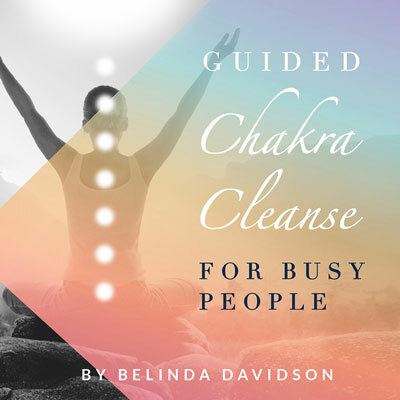 It gives me so much joy to be able to offer you The Chakra Cleanse for Busy People Meditation from The School of the Modern Mystic by Belinda Davidson. As a student myself, this course has meant so much to me, and has changed my life in beautiful ways. This is why I am passionate about sharing it with you. The spiritual journey is really a journey inward. As an experienced teacher, Belinda has had lots of success in helping guide people step by step to change their energy, and in turn change their lives for the better. The chakra cleanse meditation I learned in the beginning of level 1 is a meditation I currently do almost every day. The chakra cleanse meditation helps me balance my chakras and keep them healthy and fit. This is an ongoing practice and an important part of my non-negotiable spiritual time. In fact, the days I miss doing the chakra cleanse I don’t feel the same. It is a part of my self-care and wellness. What I’ve learned from Belinda is that each chakra is responsible for different areas of your life and health, and if your chakras are working for you, your life is working for you. I offer you this course here because I deeply believe in it and think it will add immeasurable value to your life if you make the teachings a part of your weekly routine. It is very important for me to tell you I don’t want to sell you something just to sell you. There is already enough of that in this world. Anything I offer here on Give Love Create Happiness, I want it to be because I truly believe your life will be enriched and benefit greatly. Wishing you much love, abundance and happiness!